It is my sad duty to inform you that Emeritus Member, ADM George E. R. ”Gus” Kinnear, II, USN (Ret), made his Last Take-Off on August 9, 2015 in York Harbor, Maine. Gus had a stroke last week and was in and out of the York Hospital and a stroke rehab facility until his condition worsened. He was transferred to his home where he died peacefully, without pain or trauma, surrounded by his family. Gus was born on January 12, 1928, the son of Neil Tilman Kinnear and Mary Miller-Bancroft, and was raised in Brooksville, FL, where the family settled on a citrus farm after his father returned from combat in WWI as a disabled veteran. He enlisted in the Navy on his 17th birthday on 12 January 1945 as a S2C Combat Air Crewman and continued for a fantastic Navy career from Seaman Recruit to four-star Admiral. I have only known of one other Seaman Recruit who advanced to four-star Admiral, although there may be others. Gus joined the V-5 Program and attended the University of Florida for a year, then went to preflight as a midshipman in Ottumwa, IA; flight training at NAS Corpus Christi, NAS Pensacola, and NAS Jacksonville and earned his wings on September 8, 1948, and later he was commissioned on Dec 28, 1948. His first duty was with VF-173 and because of the WWII drawdown, he was discharged as Ensign, USN, and sworn in as Ensign, USNR, on March 31, 1950. He was recalled to active duty and joined VA-45 in October 1950. He flew in Korea with VA-55 on USS Princeton and with VA-45 on USS Lake Champlain in 1953 and was awarded 2 Air Medals. From this time on, he began his speedy run to four-star Admiral. He worked in the Bureau of Aeronautics in Washington, DC, attended George Washington University attaining a BA in Physical Science and Math and a MA in Personnel Management. From 8/57 to 6/58, he attended Navy Post Graduate School, Line School, in Monterey, CA, and next served two years on USS Antietam (CV-36). He graduated from the Naval War College in June 61 and joined the A-4 RAG (VA-44), then went on to VA-12 at NAS Cecil Field, FL, for two years. He became Commanding Officer of VA-106 (A-4C's) from 8/63 to 8/64. Continuing his education at Stanford University, he earned a MS in Industrial Engineering and a PhD in Engineering Management from 8/64 to 8/66. He was selected as Commander, Carrier Air Wing 2 and flew A4, A6, A7, F4, RA5, E2 and A3's from USS Kitty Hawk and USS Ranger in Vietnam. He was awarded a Legion of Merit with combat "V", 4 Distinguished Flying Crosses, 12 Air Medals, and 3 Navy Commendation Medals with combat "V" from 3/67 to 7/68. During his flying career, he had over 950 carrier landings and more than 6,000 flight hours. He served in OPNAV as (OP-090) and in the Office of the Assistant Secretary of the Navy (Financial Management) for two years; then he became Commanding Officer, USS Spiegel Grove (LSD-32) for 8 months. From 6/71 to 6/72 CAPT Kinnear was Commanding Officer of NAS Miramar, CA, and then went to Washington, DC, to BUPERS, as Assistant Chief, Plans and Policy for two years. 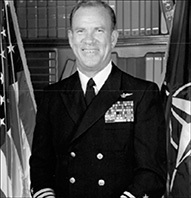 RADM Kinnear became Commander, Carrier Group One from 4/74 to 4/75. He returned to Washington, DC, and became Chief of Legislative Affairs, Department of the Navy, from 6/75 to 4/78. VADM Kinnear then moved to NOB Norfolk, VA, as Commander Naval Air Force, Atlantic Fleet, from 4/78 to 6/81. Admiral Kinnear became U. S. Military Representative NATO, in Brussels, Belgium, from 7/81 to 9/82 and retired in the grade of Admiral on 10/1/82. Gus's experience growing up on the farm during the Great Depression shaped him as humble, gracious, and down-to-earth. He was known for his boundless energy. He urged everybody to simply "Call me Gus" and "Keep smiling." His post retirement work began with Grumman Aerospace Corporation, Bethpage, NY, as Corporate Senior Vice President (Washington) and Vice President International (Washington) until October 1988. From 10/88 until 2/92 he was Interim President, University of New Hampshire, in Durham, NH. From 10/92 he was Chairman, Board of Directors, The Retired Officer's Association in Washington, DC, until 10/94. He was also Chairman, eVelocity Corporation, Portsmouth, NH, from 5/99 until 2004. 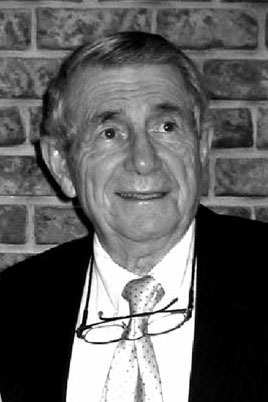 Gus was President, Kinnear Associates, York Harbor, ME, from 10/94 until 2011, and then Chairman, Kinnear Cundari Associates, Alexandria, VA, until his death. ADM Kinnear's remains have been cremated. He was predeceased by his brother Neil, sisters Patricia and Peggy, and sons George III and Kim. He is survived by his wife, Mary Cundari Kinnear of York Harbor, Maine; sons Kevin, Douglas (Terry), Stephan Condari (Susan), and David Condari; daughters Kandace Balazich (Khris), Holly, and Christina Vieglais (David), 10 grandchildren and 2 great grandchildren. There will be a Memorial Mass held at St. Christopher's Catholic Church in York Harbor, ME, on September 12, 2015, at 11:00 am and burial in Arlington National Cemetery in the future. Donations can be made to the United States Navy Memorial in Washington, DC, or a charity of your choice. Lucas and Eaton Funeral Home is directing arrangements at <www.lucaseatonfuneralhome.com>. We have lost another Golden Eagle from the Greatest Generation. He will be missed!